Sophisticated cuts and a flexible shoe construction make the summery lightweight ladies' shoes in our Italian Line a charming choice for many occasion. Modern moccasins, maritime boat shoes, classic ballerinas and loafers, as well as enchanting mules and sandals, captivate with a careful choice of materials and high levels of wearing comfort. Thanks to the traditional craftsmanship of the Mediterranean region, it is not only the quality of these light, airy summer shoes that speaks for itself – the collection also adds tasteful accents to the wardrobe of any sophisticated woman. 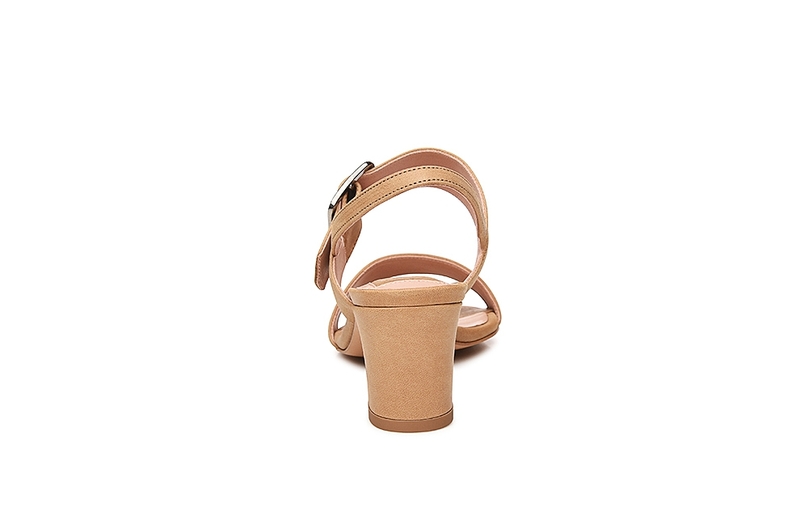 This beige strappy sandal for women has a lightweight, summery feel. 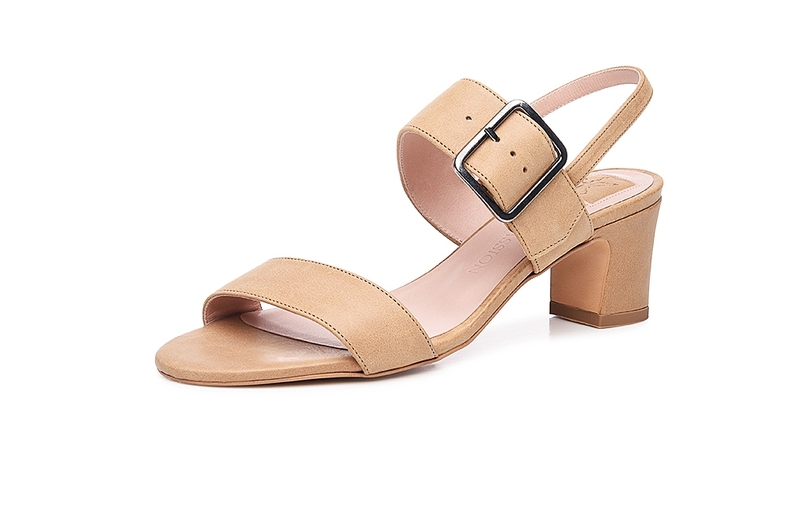 Its mid-height block heel ensures comfort while visually elongating the leg. Meanwhile, its velvety calfskin upper comes in a subtle shade of beige. 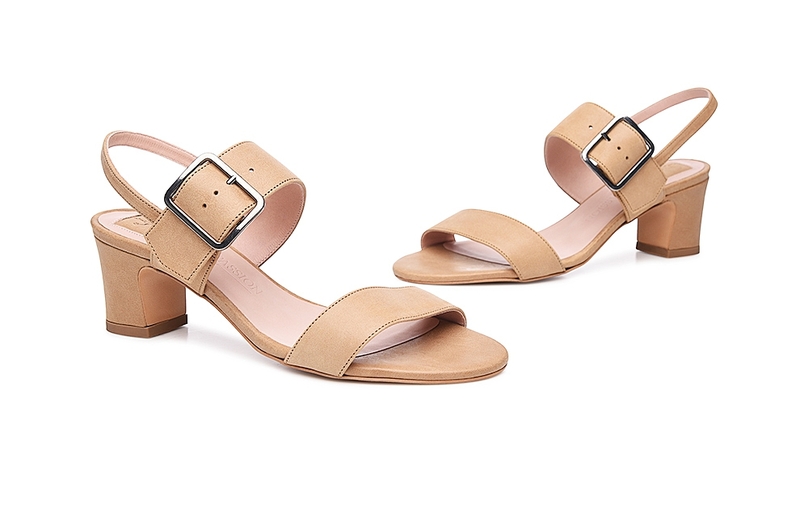 As a result, this handcrafted heeled sandal pairs perfectly with airy, lightweight summer looks while remaining subtly in the background. There is a wide selection of heeled sandal designs available, ranging from classic to playful. Distinguishing features of this model include delicate straps and a mid-height heel. 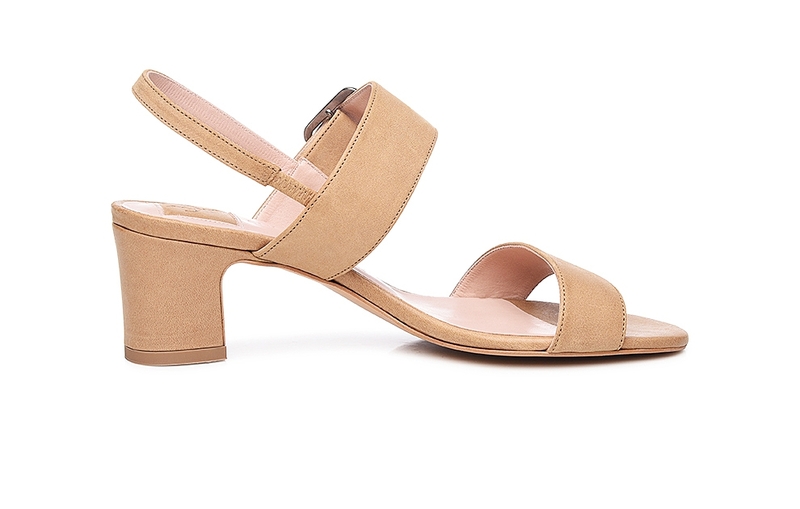 The heel elongates your legs and pairs beautifully with elegant officewear as well as feminine summer attire. 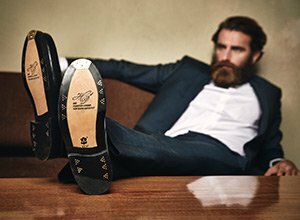 This shoe’s upper is made from the finest, medium-soft calfskin. It’s primarily distinguished by its supple, velvety feel and delicate grain.